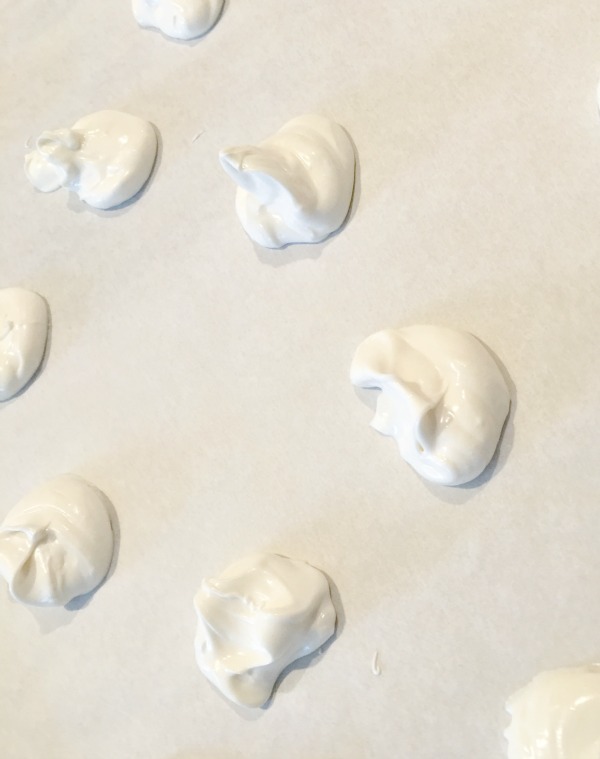 Not all of your Christmas baking has to be time consuming and come out pretty. 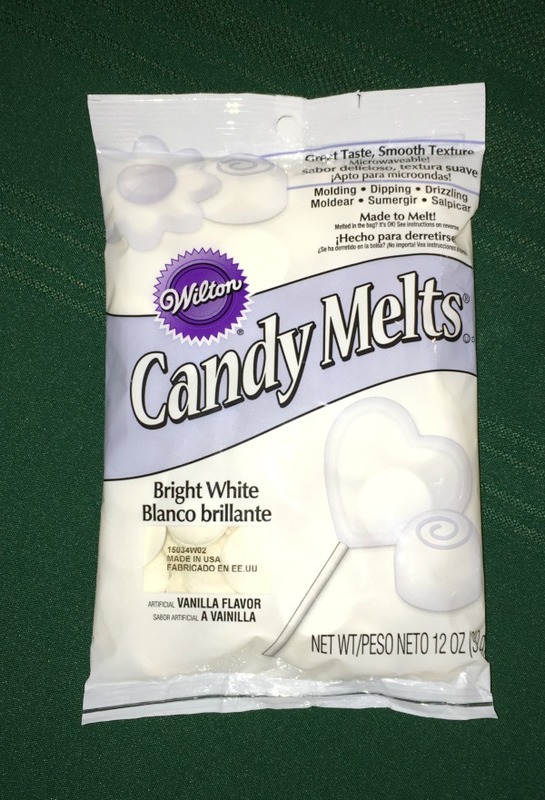 After I had finished a couple of projects with my white Wilton Candy Melts, there was some left. 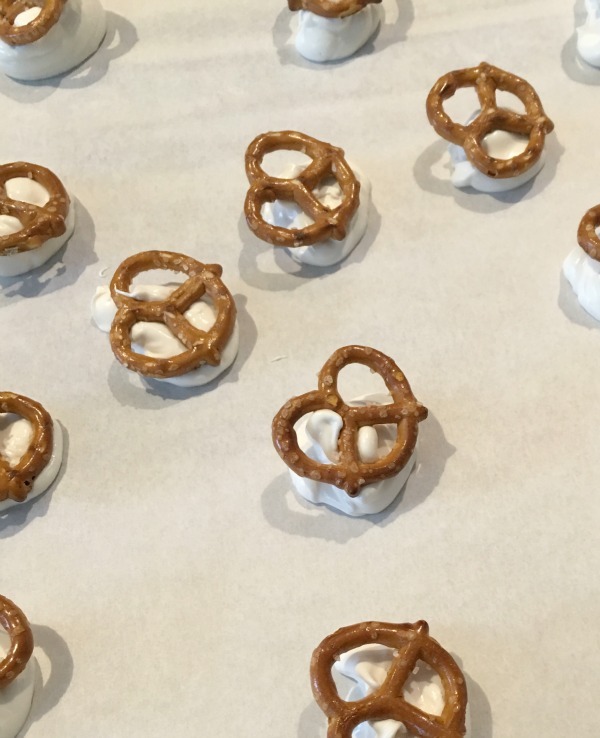 I didn’t have enough time to do one of our favorites, dipped pretzels so the next best thing. These bright whites have become my favorite. 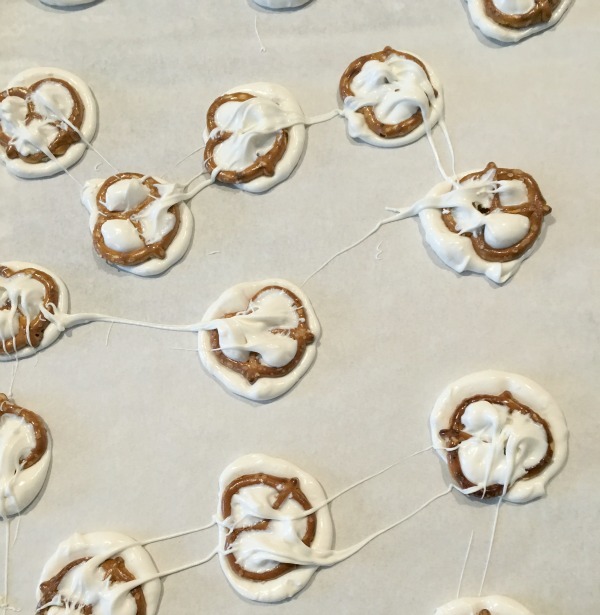 After placing a sheet of parchment paper on a baking sheet, I just placed dollops of the white chocolate on these – probably between 1 teaspoon to 1 tablespoon. I was doing it quickly and knew we would eat these not matter how much, or how little chocolate was on them. A pretzel was placed on top of each of my mounds of chocolate. 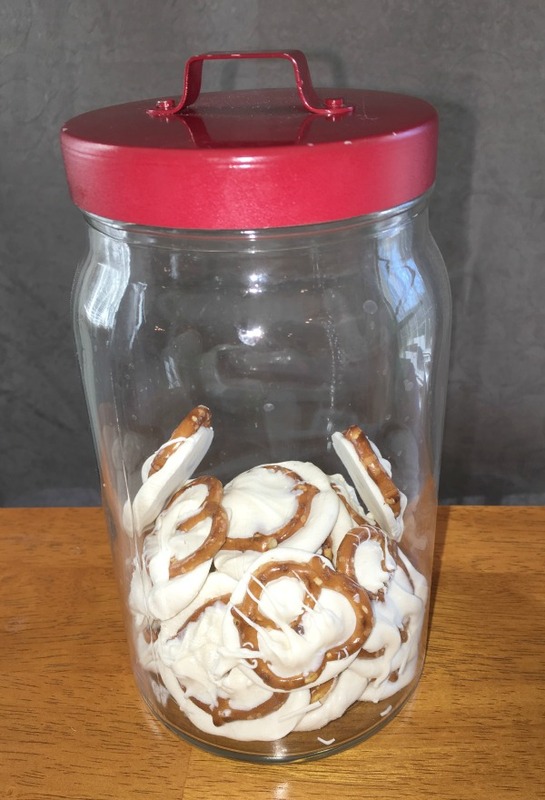 Taking a fork, I pressed these pretzels into the chocolate really quick. As you can tell, I wasn’t worrying about how they would look or how even it was. Let the chocolate cool and set up then store in air tight container. Let me know if your family notices that these are perfect. Here’s a thought – what if Christmas Eve comes around and you have no cookie for Santa? Melt just a few of these melts, or even chocolate chips and make these up in no time. Thanks. 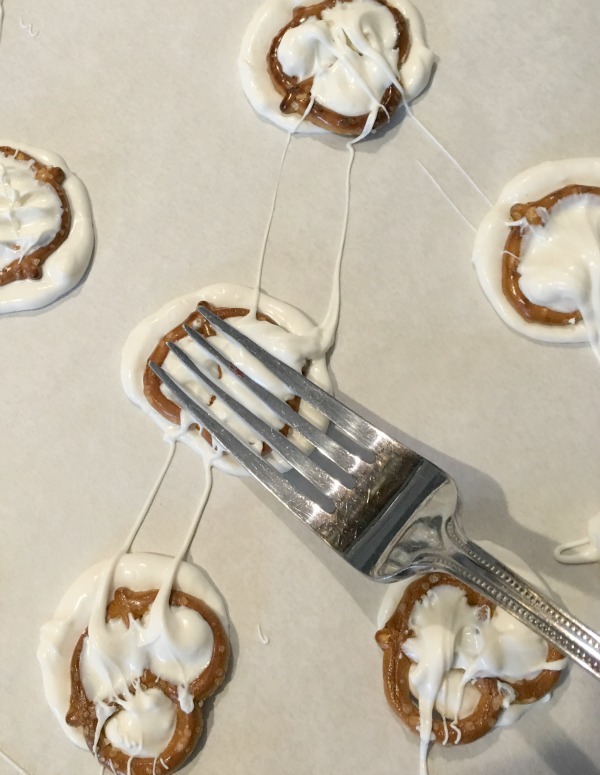 Hey put a little chocolate on anything, except raisins, and I will eat it – pretty or not. I think I will make this this way all the time now.